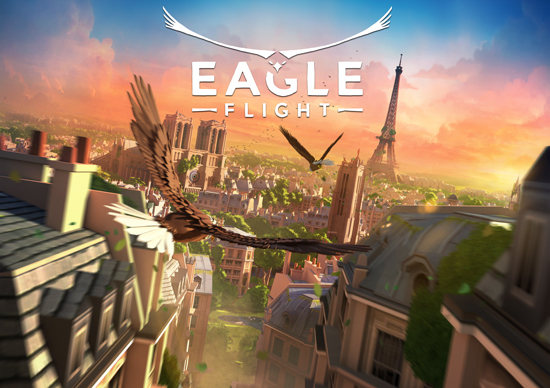 Eagle Flight sends players to the skies of Paris where as an eagle they will soar over the historic city and its iconic landmarks. Playable in single player and in the heart-pumping multiplayer “Capture the Prey” mode, players will feel the true sensation and exhilaration of flight. Eagle Flight will be released on Oculus Rift beginning October 18, PlayStation VR beginning November 8 and HTC Vive beginning December 20. Ascend to the stars, where no one has gone before in virtual reality, with Star Trek: Bridge Crew. Players will be beamed right into the action of a Starfleet ship as a member of the Federation, exploring space with a crew or solo as Captain. Star Trek: Bridge Crew was designed exclusively for VR, capitalizing on the powerful sense of social presence possible through virtual reality. It will be available on all three platforms beginning November 29.
case for innocence, and the next round you could be a werewolf, lying your way to a win. Werewolves Within will be released on all major VR platforms beginning December 6. Eagle Flight and Star Trek Bridge Crew will be available on PlayStation VR in retail versions a week after their digital releases. Virtual reality will also be introduced into the arcade-racing universe of TrackMania Turbo. Thanks to a free patch, players will be able to enjoy the game on PlayStation VR beginning November 8. With its lineup of VR titles set for release this fall, Ubisoft believes in the strong potential of Virtual reality to redefine social gaming with a unique sense of reality. Star Trek : Bridge Crew, Werewolves Within and Eagle Flight Ubisoft’s recent partnership with VR film company, SpectreVision, are its latest ventures in the emerging technology.